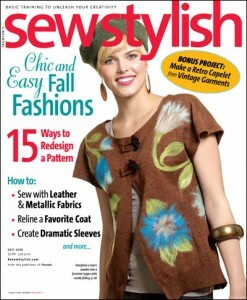 Sew Stylish Magazine announced their Fall Fashion Contest in this month’s edition. 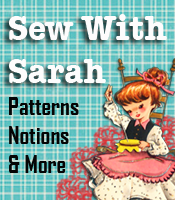 The contest focuses on creating designer inspired fashions and the fall 2009 issue of the magazine shows you how to create high-style designer looks with easy sewing and simple pattern work. It’s easy to enter, just upload pictures of your design, a picture of the designer style you used for inspiration, and a description of the techniques you used to the Sew Stylish contest gallery before midnight on September 23rd. Contest entrants have a chance to win a Baby Lock Sophia Embroidery and Sewing Machine, an Ottlite Craft Plus floor lamp, and the Threads Industry Insider Techniques DVDs. Contestants will be narrowed down to five finalists by the Sew Stylish editors, then you will get to vote on the winner. Finalists will be chosen based on their technique, design, skill and inspiration, and the winner will be announced on or around October 5, 2009. For more details, click here to see the official rules.